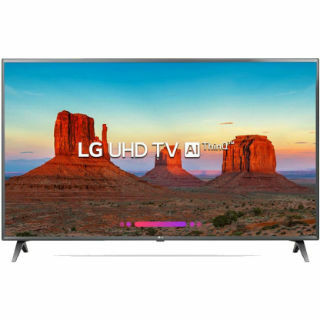 Purchase LG 50UK6560PTC 124 cm (50 inches) Smart 4K Ultra HD LED TV worth Rs. 98990 at Rs. 66290 Only. Also get Free 2 Year Extended Warranty of approximate 7,000 Rs. On Activation.Introduce the advance LG 50UK6560PTC 124 cm (50 inches) Smart 4K Ultra HD LED TV. to your home that features a sleek and impressive design. Its display resolution of 3840 x 2160 pixels provides crisp and clear visuals. Enjoy your favorite movies or television shows with your family on this inch wide-screen TV with built-in speakers. Furthermore, the 4 HDMI allows for smooth HD viewing through various sources as well.